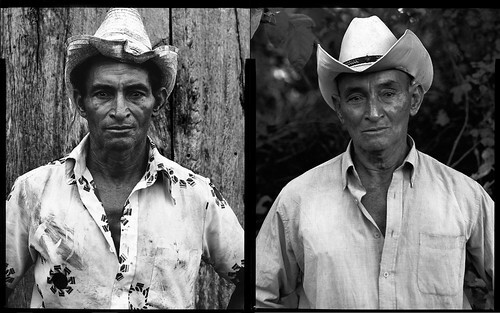 Faustino is a farmer, and these photos were made 20 years apart. When we located him, after all that time had elapsed, and showed him a copy of his first photo, he denied that it was a picture of him. It required great tact and skill to convince him to let us make the second portrait. Finally, after much coaxing, he relented. Several villagers believed that his refusal was, in part, motivated by embarrassment. His neighbors speculated that his earlier photo was made when he was quite down on his luck, and now that he was enjoying a bit of prosperity, he disassociated himself from his former condition.